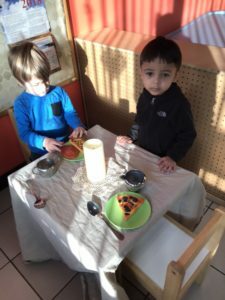 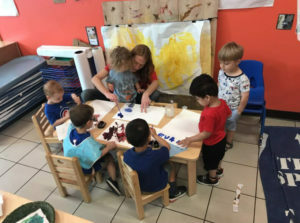 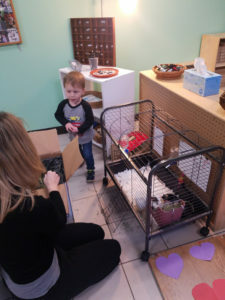 The Young Preschool Class is for children age 2.5 to 3+ years and is designed to be a supportive transition from the toddler years to the preschool years. 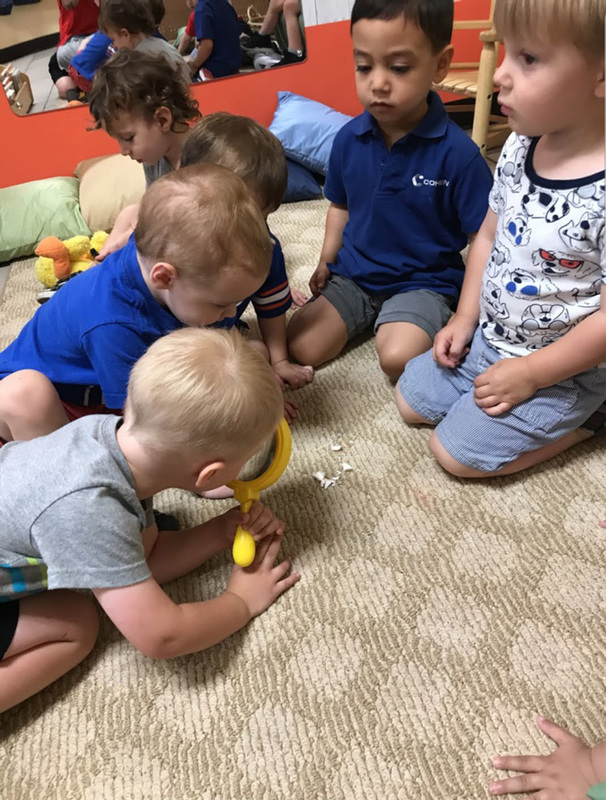 The class focuses on supporting this age group’s tendency to ask “why” as they dig deep into their fascination with asking questions and trying to find the answers. Each day, children have the opportunity to engage in playful and hands-on experiences that support a child’s sense curiosity as they engage in sensory and art experiences, listen to stories, sing and dance, and explore the classroom environment. 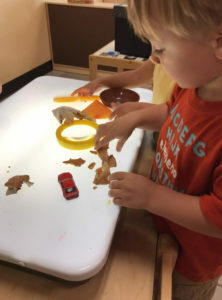 Through these daily experiences, the children build their fine motor skills, their cognition, and their self-concept. 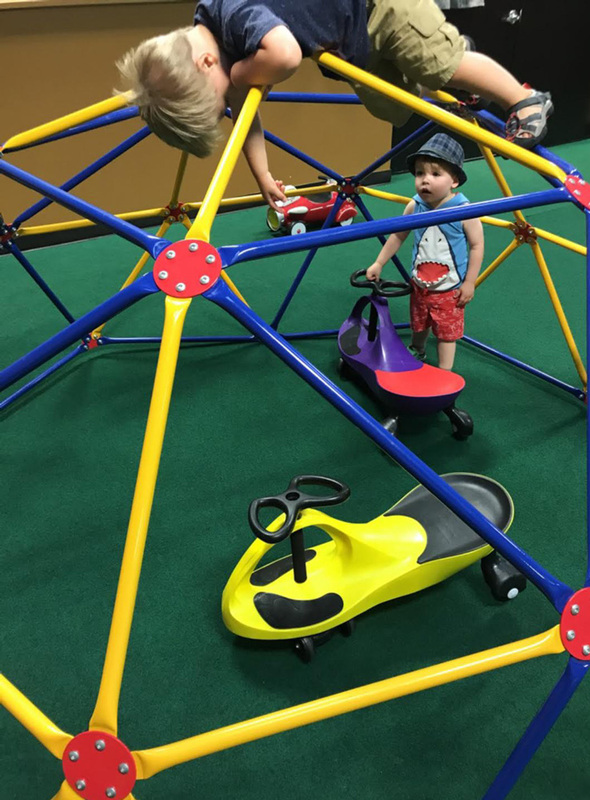 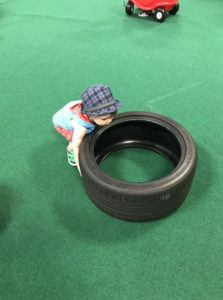 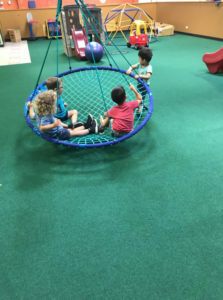 Every day, the children also visit our large, indoor playground where they are invited to climb, run, slide, swing, and build the gross motor skills that are central to their larger development. We understand the importance of helping these young preschoolers develop a positive self-concept by increasing their ability to participate in self-help skills. 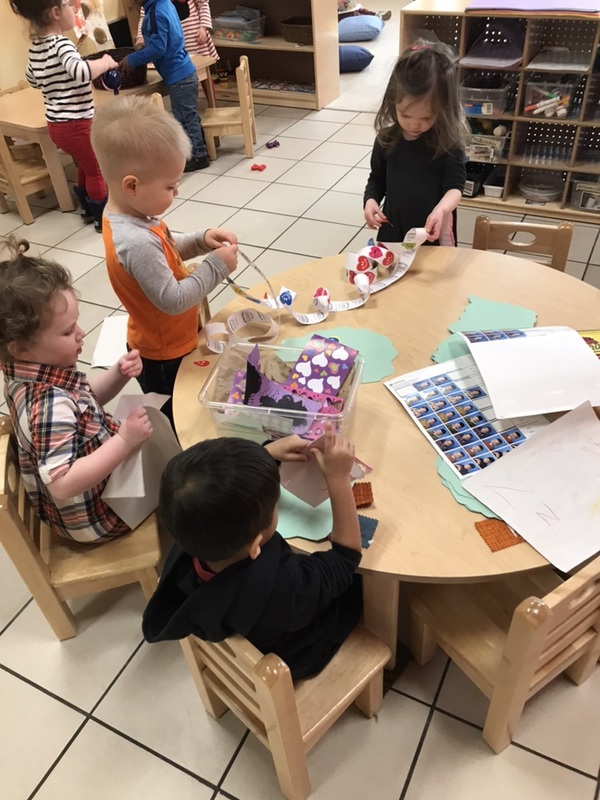 Children in the Young Preschool class are given age-appropriate responsibilities such as beginning to take ownership over toilet mastery and restroom use, helping keep the classroom clean by putting away materials when they are finished using them, and serving themselves snack. 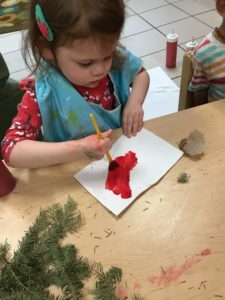 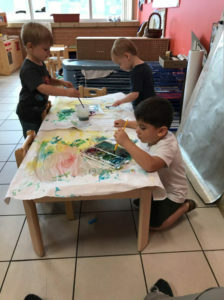 The young preschool program at Creative Scholars is designed to support the growth of the curiosity about their world that will help them become inquiring, empathetic, and confident individuals. Snacks, an organic lunch, and diapers and/or pull-ups are included in the cost of tuition. 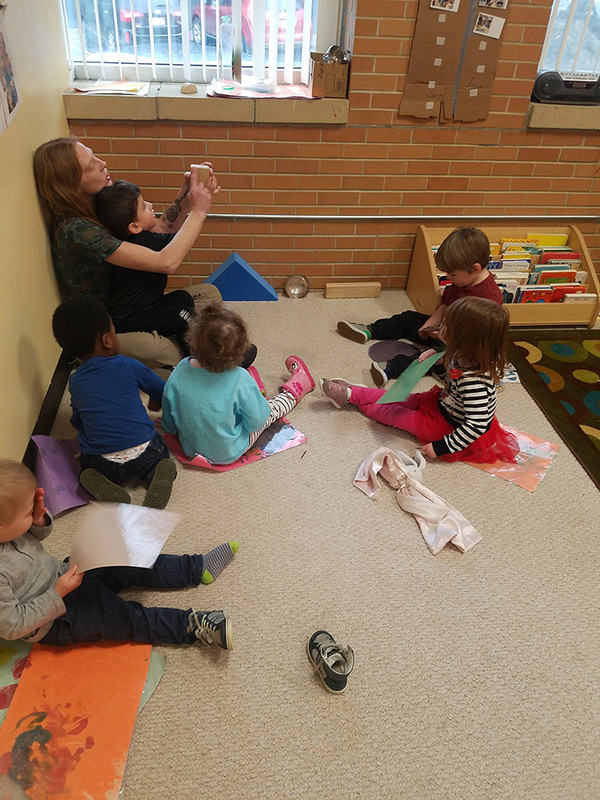 Our nurturing and caring teachers build strong relationships with our young students. 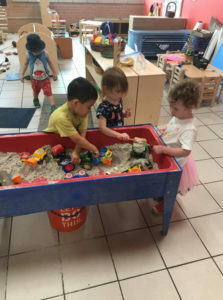 Our approach is based on trust and respect towards our little learners. 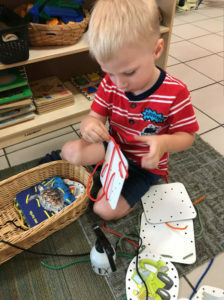 Collaborative projects help to build cooperative skills with our students. 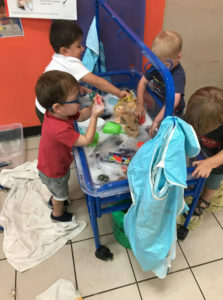 These young children can work alongside each other, learning from a friend’s techniques or experimentation. 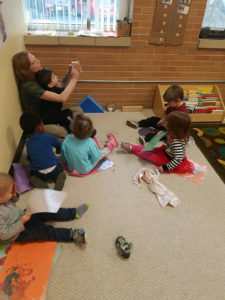 They may also choose to work together, gaining experience in sharing and collaboration. Learning occurs on a deeper level when the children enjoy their educational experience. Our students engage meaningfully and enthusiastically with their teachers to create a learning experience that is rich and fulfilling. 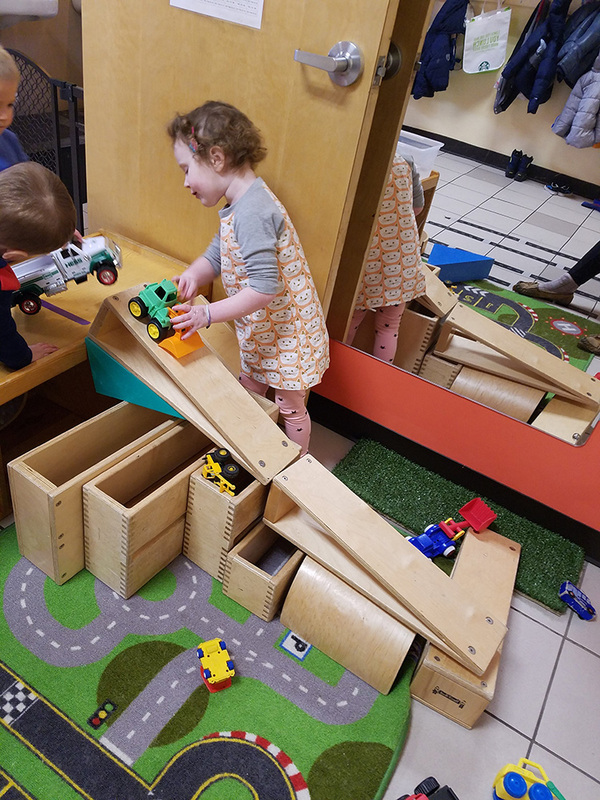 Our large, open-ended toys provide our young preschool students with endless play opportunities. 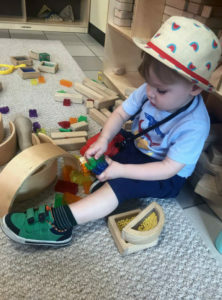 These tools of learning help to fuel creativity and let their imaginations drive learning. Reading skills continue to flourish in our young preschool classroom. 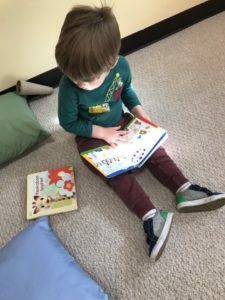 Children have open access to engaging books and reading materials. 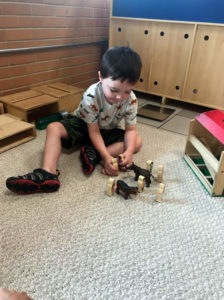 This inclusivity supports their early literacy and promotes a strong foundation for learning. We offer opportunities for dramatic play in our young preschool classroom. 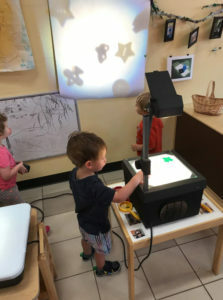 Here, the children with the chance to make sense of their interpretations of the larger world around them. 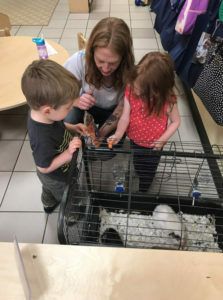 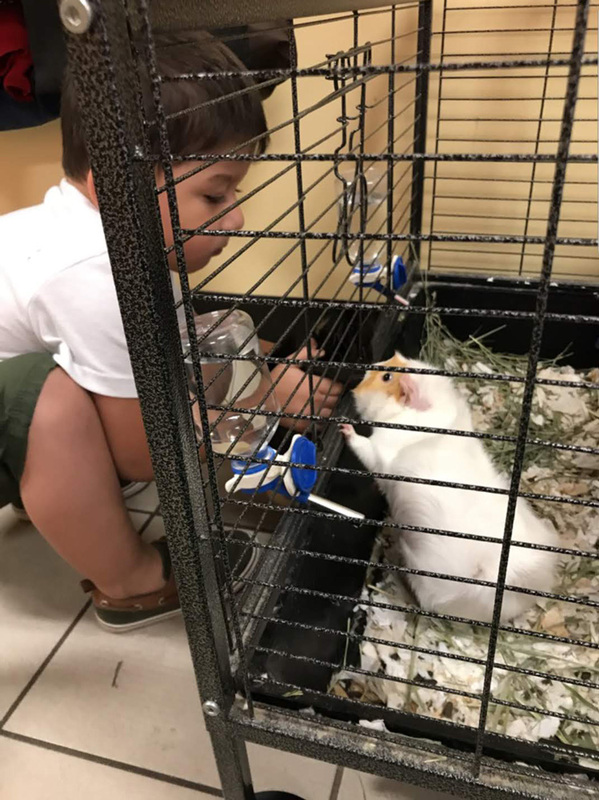 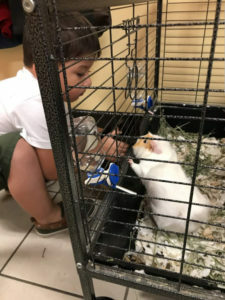 You will find children engaged in conversations as they problem solve who will get to play the cat and who will have to be the caretaker or discuss how they will set up a bakery and what roles might be needed when one plays bakery shop. 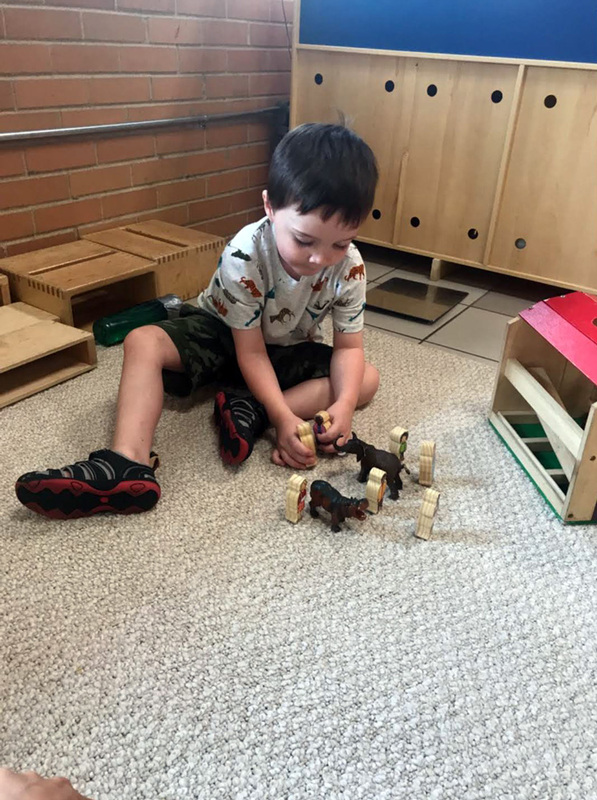 Dramatic play is a natural way to help children at this age develop their language and communication skills. 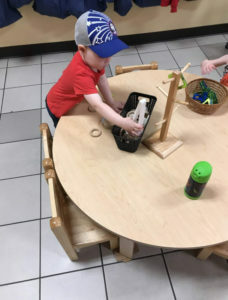 Because of the popularity of this type of play among the young preschooler, you will often see many children playing together in this area as the children begin to move from parallel to interactive play. 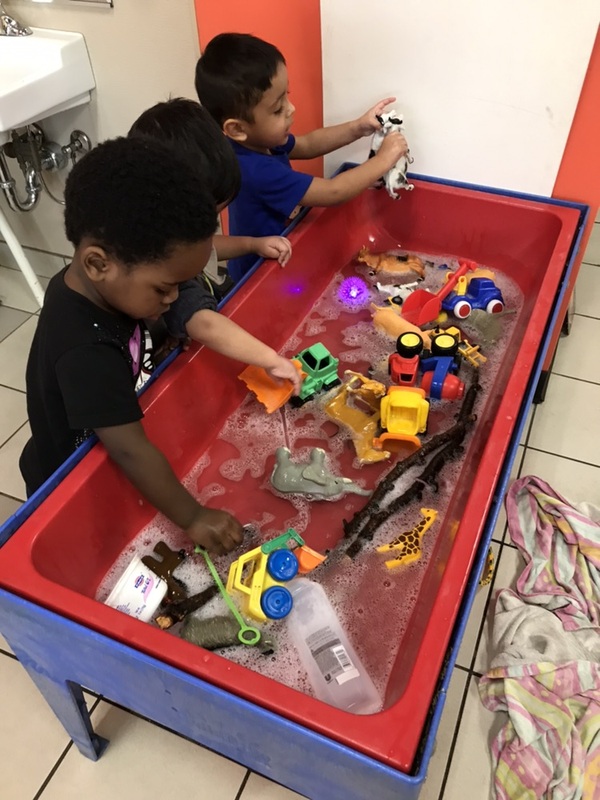 Experiences with water play at our sensory tables offers so many opportunities to develop fine and gross motor skills for our young preschoolers. 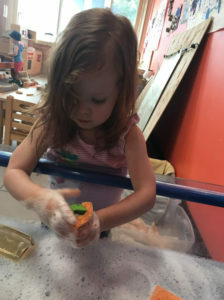 Children will increase their fine motor skills and hand-eye coordination through actions like pouring, squirting, scrubbing, stirring and squeezing. As they explore, they learn through action and observation. 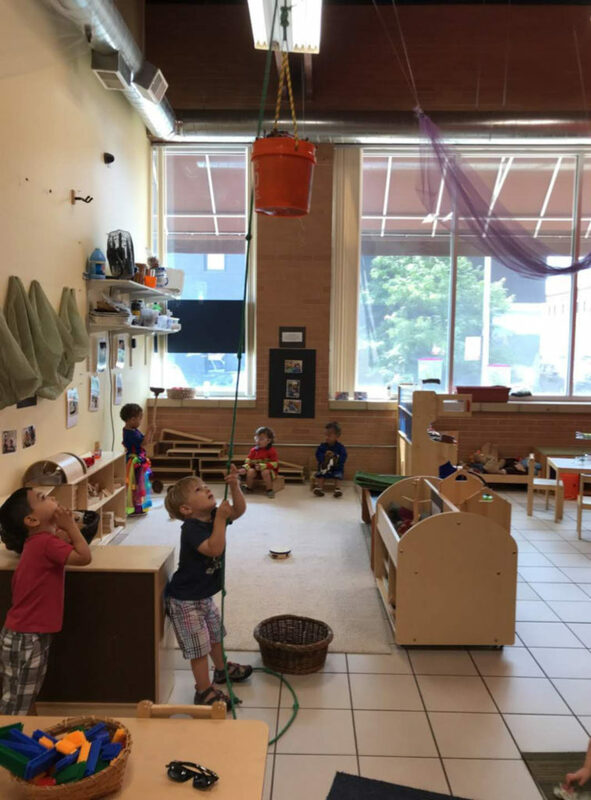 Playing with water offers our young students the chance to see, in a very practical way, how and why things happen. It encourages them to use their imagination, develops creative thinking which plays an important role in problem-solving. 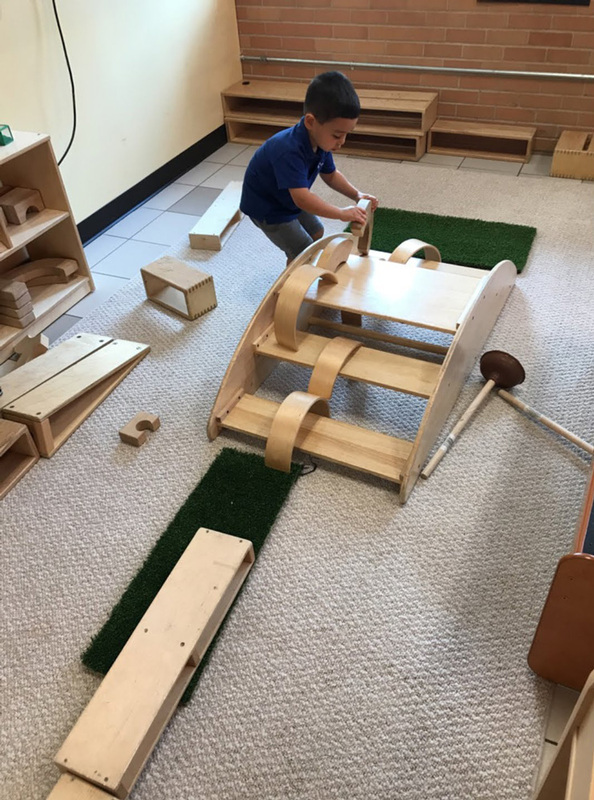 We continue to build a solid foundation for literacy through a variety of rich materials and learning tools. 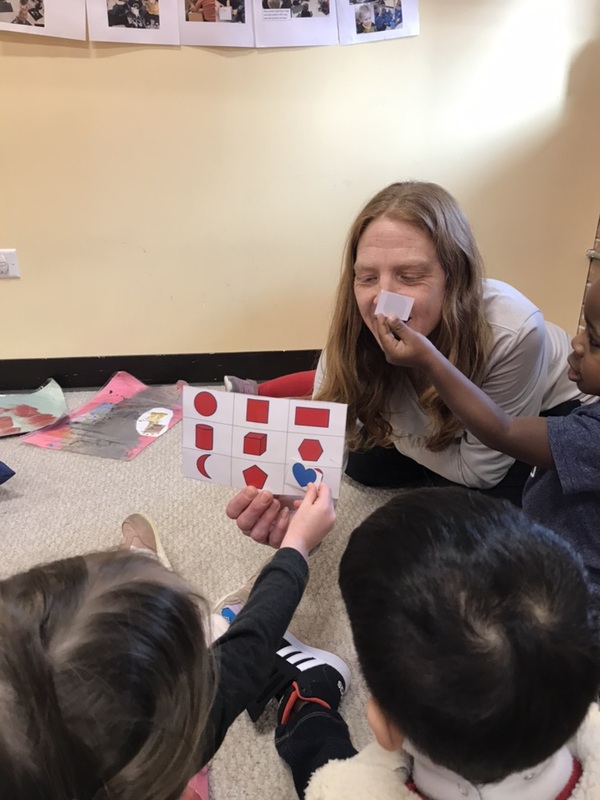 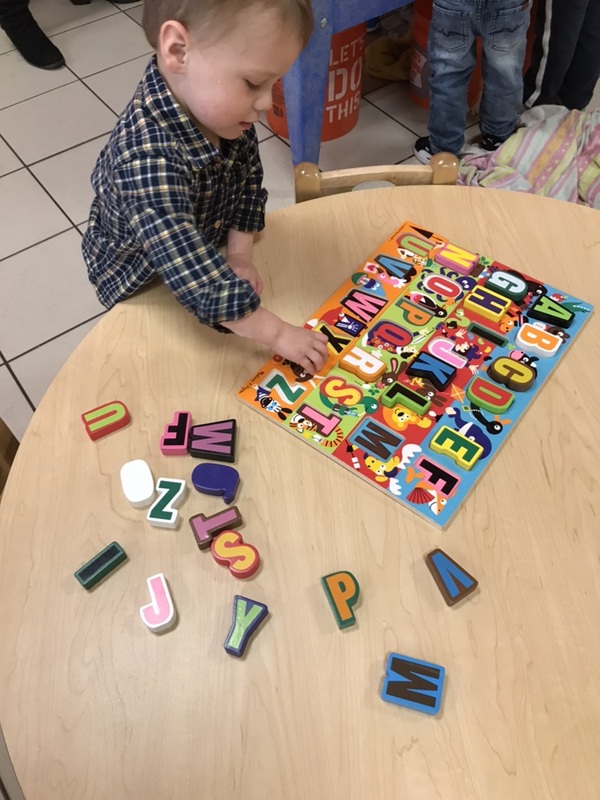 Open-ended activities allow children to fully explore letters and numbers to understand concepts beyond simple memorization.